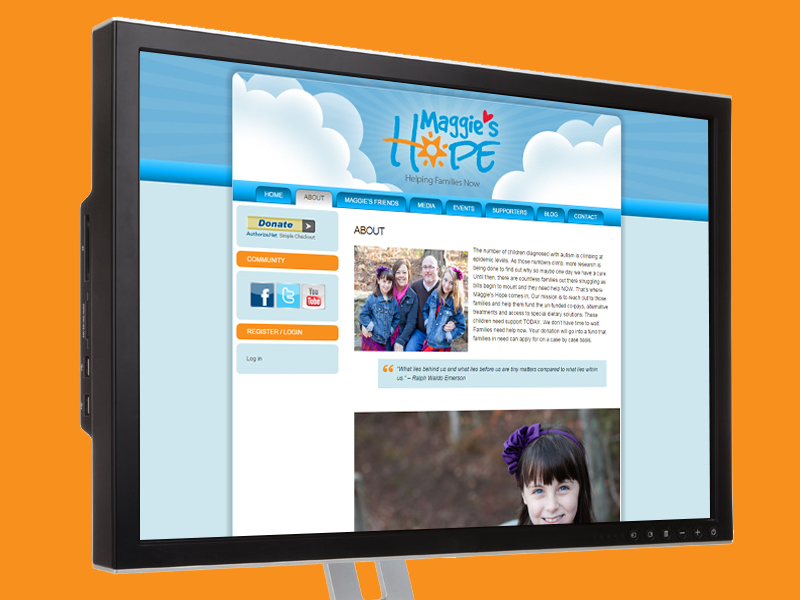 Maggie’s Hope, a non-profit charity that helps families with children that have autism. This organization helps to provide funding to families that can’t afford therapies and services that aid those with autism. When I came to them asking to be involved they had me redo their logo and build an ad for their upcoming fundraiser. This is the logo and ad that came from that. A few weeks from the time I met Loriana Hernandez Aldama (FOX 7 News) I became a board member, serving a year term. My role was to function as their Creative Director. Eventually, I created their website and supporting materials.